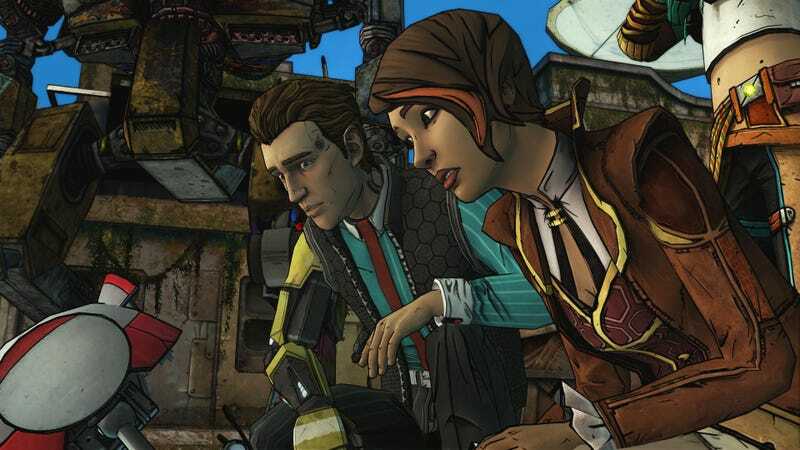 Telltale’s episodic adventure series Tales From The Borderlands was one of 2015’s best surprises. That was mostly thanks to its funny script, well-developed characters, and killer voice acting. But the music definitely helped. After I finished the second episode back in April, I was already going on about how Telltale was wrecking it with their intro credits sequences, which featured a new licensed tune with each episode. Now that I’ve finished the season finale, my appreciation for what they pulled off has only grown. I was initially going to do some sort of ranking post for this, but in the end I found that I didn’t really want to rank ‘em. (Well, okay, that’s not true. In order: 4, 1, 2, 3, 5.) I mostly just want to give everyone an opportunity to listen back to all these tunes, and to give the game some special recognition, given that games with good licensed music don’t really qualify for our list of the best video game music of the year. Heads up that if you haven’t played, these videos have some spoilers in them. If you have played, let’s take a trip down memory lane. One of my favorite intros from the season, this one features “Busy Earnin’” by Jungle. 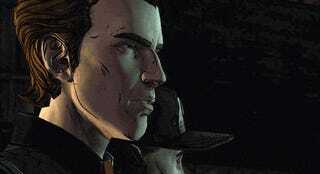 An early indication that this game was going to be something a little more special than the average Telltale game. A dramatic slow-mo intro featuring “Kiss The Sky” by Shawn Lee’s Ping Pong Orchestra. Probably one of the most iconic scenes from the season, and I’m still impressed at how fluidly they animated Rhys’s shoe coming off. A kicky road trip montage set to “Pieces of the People We Love” by The Rapture. I wasn’t blown away by this one the first time I saw it, but now that I’ve finished the game, I appreciate it a lot more. Loader Bot and Gordys being friends! Fiona giving Rhys his shoe back! Aww. A terrific credits sequence, featuring “My Silver Lining” by First Aid Kit. For the first time, I didn’t skip the credits! I hope Telltale Games will remember that, too.